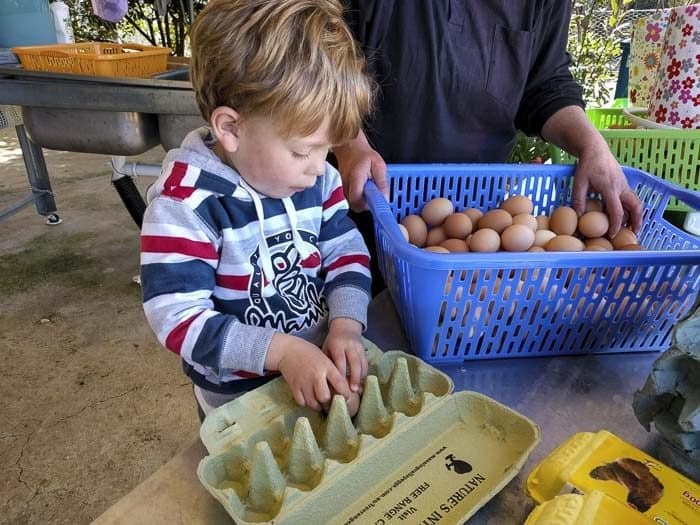 Nancy's Freedom Farm, Arcadia: Visit the farm, kids collect eggs! 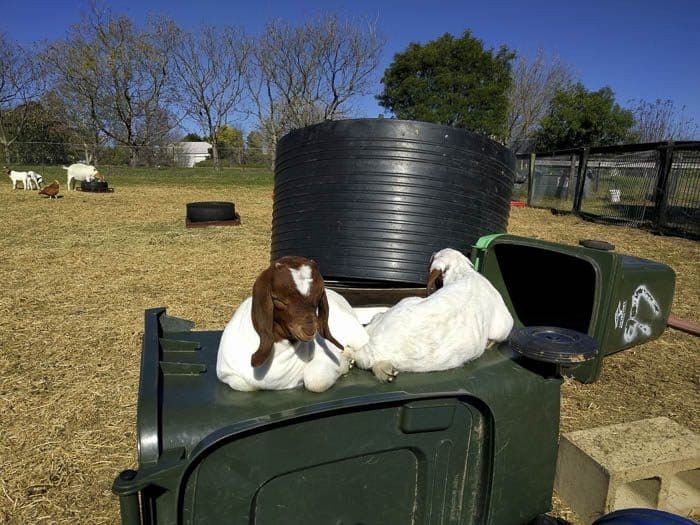 Here’s a lovely post by Kellie Darley about a farm which children can visit in Arcadia. You can see Kellie’s boys really love visiting the farm. 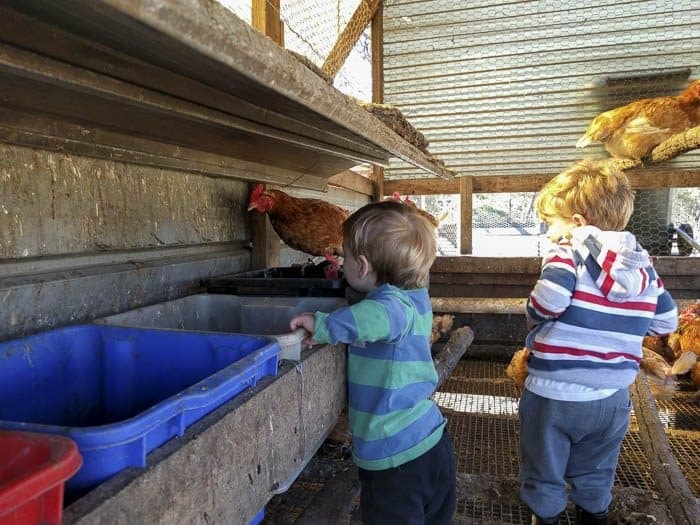 There are few places around Sydney where children can not only see farm animals but also collect eggs. This is our favourite.actually collect eggs. Nancy’s Freedom Farm is ideal for an hour or two of collecting eggs and visiting this working farm. There are hundreds of chickens who happily roam free on the farm which has been owned and operated by the very friendly and wonderfully helpful Nancy. 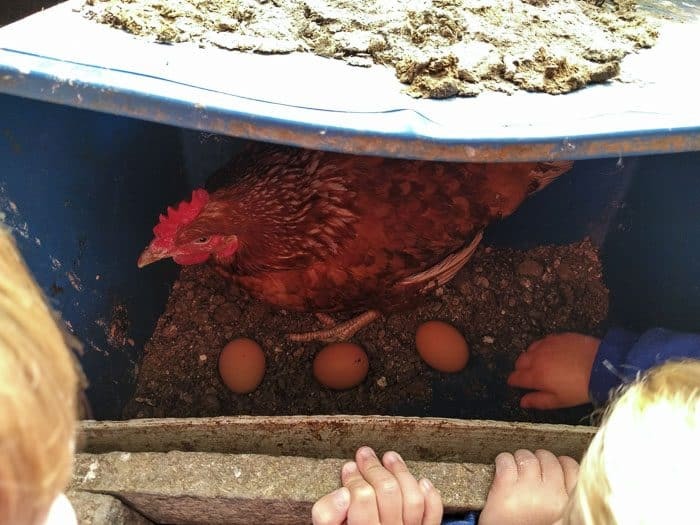 This means that when you join her to collect eggs from the various chicken coups around the farm, you will be treated to collecting LARGE buckets full. 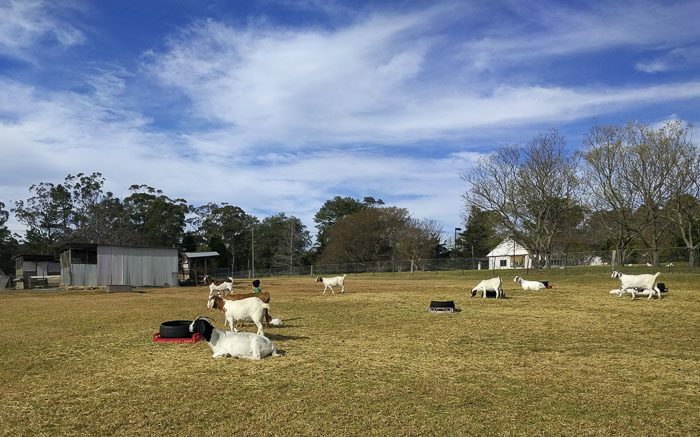 Children will be able to see and play with goats, sheep, cats, dogs and ducks on a visit to nancy’s Freedom farm. Depending on the time of year they can also see and hold baby chicks. The cost to do a farm tour is $10 per person and kids under 4 are free. Tours are by appointment only to make sure Nancy will be home to show you around. Call her on 0439 404 433, and it is a good idea to confirm via SMS the night before in case something has come up. Like her Facebook page to get updates on her gorgeous farm animals. You can buy fresh eggs for $8 a dozen anytime you are passing by as Nancy has a fridge and honesty box outside her house. The drive is lovely in itself as you live suburbia and enter Sydney’s countryside fringe. 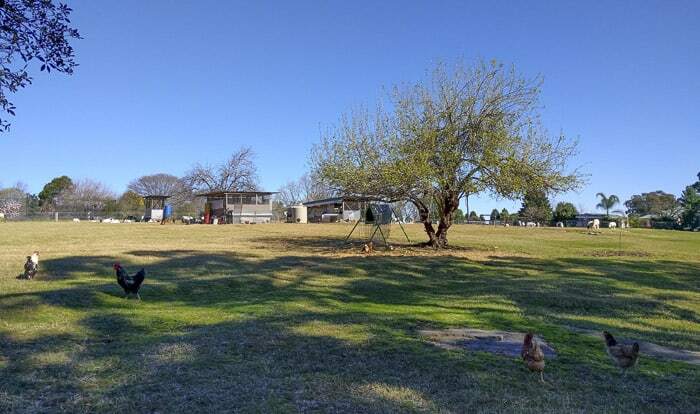 You will see a free range egg sign as you approach 97 Arcadia Road and then follow the driveway around to the left. Toilets/Baby change: There are toilets you can use in Nancy’s house. Nearest takeaway coffee: There is a take away and general store a walk down the road at 93 Arcadia Rd, or you can head to Dural or Galston where there are a few nice cafes. Mum’s report: This is a working family farm and operated almost solely by Nancy. 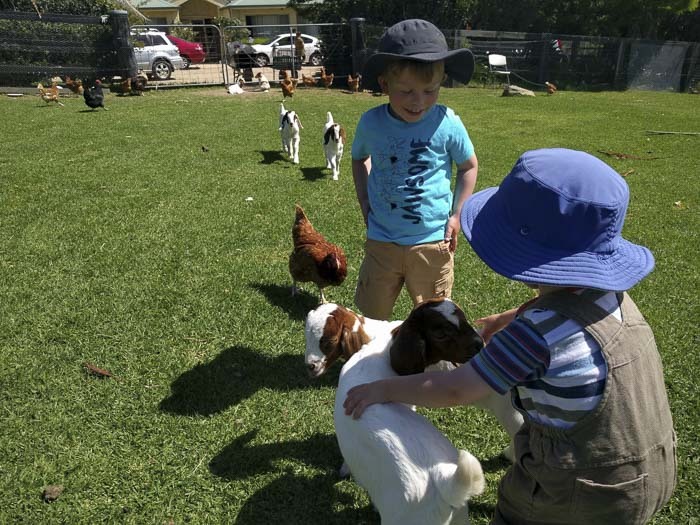 It is a real farm experience, with Nancy welcoming you onto her farm to share in the joy of collecting eggs and hanging out with some very cute farm animals. Kids must be supervised by their parents while touring the farm. If you or your kids are scared of dogs, then just let Nancy know so she can move them away. It is best to wear gumboots and we usually take a picnic lunch to enjoy on Nancy’s farm after doing a tour in the morning. It’s best to wear gumboots or other sturdy shoes. Written by Kellie Darley, one of the mums behind the new ParraParents website that provides parents in the Parramatta region with handy local information and great ideas on things to do with the kids. Why didn’t we know about this before! All my kids would have loved a visit when they were little, in fact my ten year olds still would. Book us in for the next school holidays! 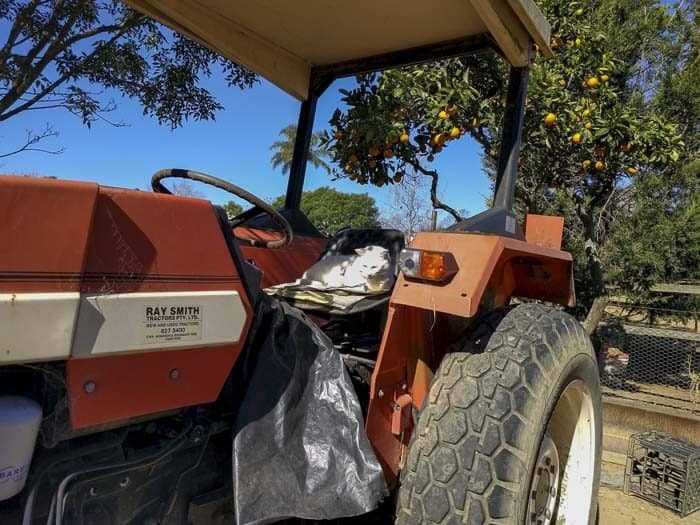 Have you had a farm experience with the kids?